For the latest trip reports please visit this new topic Damavand Guestbook. Mountaineers who have used our assistance to climb Mt Damavand Iran may send us their feedback and express their idea about our services. Feel free to make any recommendations and suggestion by sending a message by email. This will help us to improve our services in the future and will give a better idea to other incoming tourists. There are some bad news about Iran in western media, but Iran is wonderful country and the people are helpful and will make you feel welcome. Here you can read some comments from the climbers who have visited Iran recently. We hope this topic will help you to make your decision for travelling to Iran and ascending Mt Damavand. It's thanks to Mr. Ardeshir Soltani: In April of 2013 came a group of 11 skialpinists and two mountain guides from Poland and the Slovak Republic. 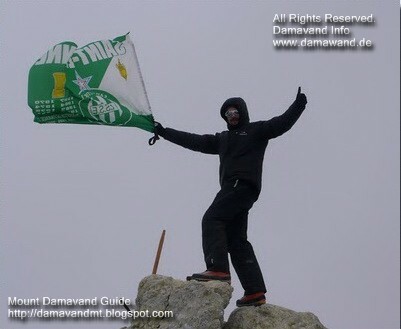 After 3 days of acclimatization in Dizin and Shemshak we were able to climb on Damavand and skiing down from the top. We were prepared well to this skitouring thanks to the very detailed information from the website Damavand-Tour. Mr. Ardeshir Soltani provided us with accomodation, transportation and meals. Everything was very well prepared. Very nice atmosphere, great kindness of the Iranians and good weather allowed us to spend a good holiday. Iran is a beautiful country, beautiful mountains and great people. We thank Mr. Ardeshir Soltani's professional service. We still invite you to the Tatras, to Poland and to Slovak Republic. My name is Alessandra Mariani and I was the tour leader of an Italian group of "Avventure nel Mondo" during a trekking trip to Iran last August 2012. 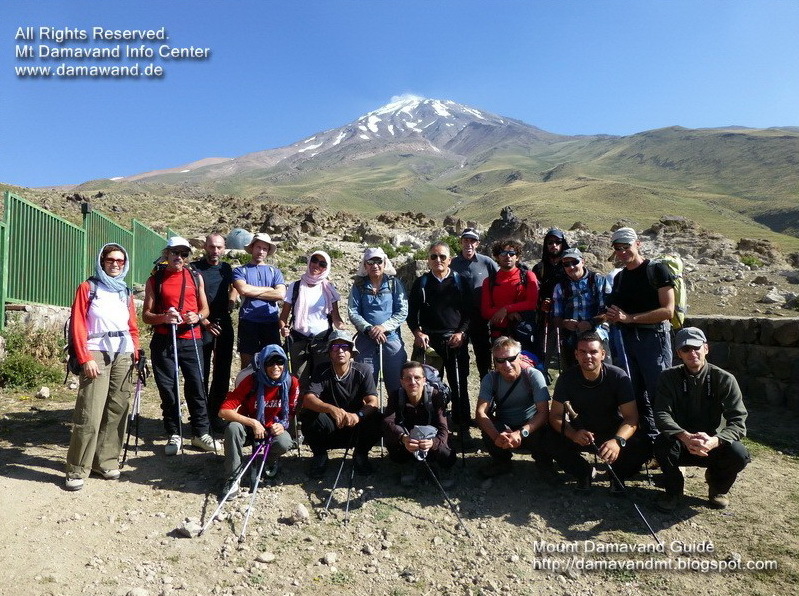 We had an unforgettable experience during the climbing days on Damavand Mountain guided by Mr. Ardeshir Soltani and his guide team. Reliable and precise. We couldn't have reached the peak without the help of such professional, helpful and friendly people like them..
Soltani is an expert. We were 13 people with different experiences and different attitudes. Some of us had never climbed a peak before but finally we got it. 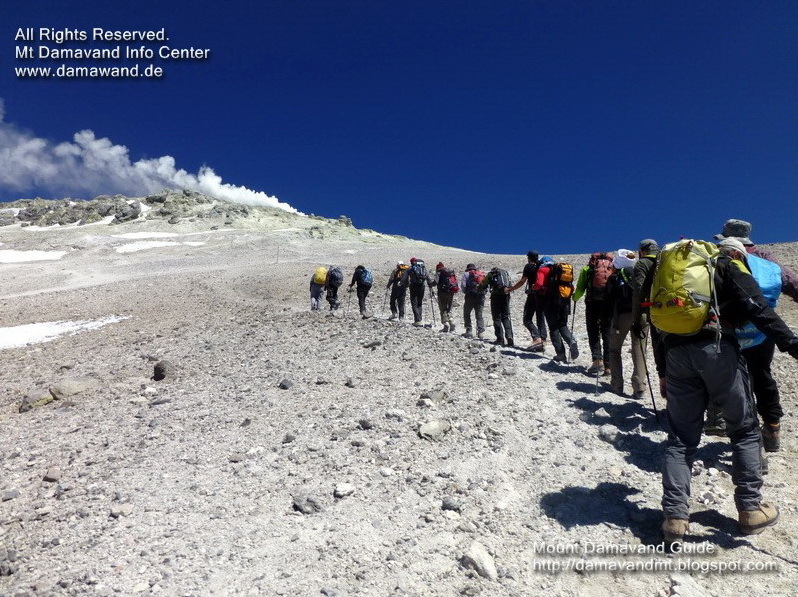 The way is hard because of the altitude, but Mr. Soltani team knows every single foot of that ascent. We had everything in terms of food and assistance for all the stay and we really felt "at home". Furthermore Soltani gave me a great help to organize even the rest of the tour and I didn't need to contact any other correspondent in the country.. I recommend his services to everybody (and wish even my parents go soon!) He gave me an image of Iran that was confirmed during all the rest of my tour: of a great country, with a warm romantic hospitality. 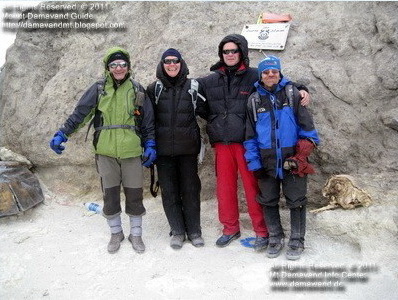 Appraisal for Mr. A. Soltani's support of our Damavand climb September 2012.
mountain in Iran. Despite all political tensions and warnings by almost everybody from our relatives and friends it proved to be a smooth and fascinating experience, to a high degree attributable to our liaison person in Iran, Mr. A. Soltani, who is the resource-person, when it comes to gather information about the mountain or to assist in organizing the ascent. During the months before the actual trip, he was most helpful in organizing our visa in difficult times and was very flexible regarding our suggestions for an ideal itinerary in order to acclimatize properly and climb the mountain successfully. Having arrived at Teheran, he was very reliable and always willing to walk the extra mile to make our trip enjoyable and successful. He showed us around in Teheran, had organized hotel and transport to the mountain in a perfect manner. It was nice dining out with him to get to know local culture and cuisine. Once at Damavand we were perfectly prepared to set our own pace and to climb that fascinating mountain at our usual swift speed. We have travelled and climbed (even much higher) mountains on all continents and have rarely met a mountain agent as committed and reliable as Mr. Soltani! We highly recommend his services! "I spent 2 weeks in Iran with Mr Soltani and it was an amazing trip. Everything was prepared and very well organized. I had to worry about anything. 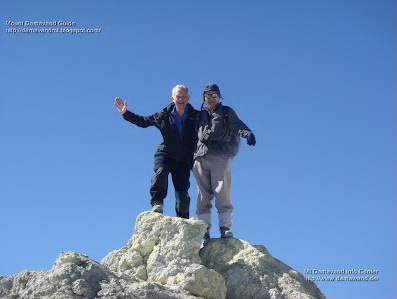 Mr Soltani is a Mt Damavand Expert, he has wonderful knowledge about the mountain and the region. He knows where to go when and everything is clear. It first my first trip/guide in the world and I really like the time we spent. I had the chance to go far north to Sabalan and to see another huge mountain. and he will help you to discover Iran as you which with many traditions and cultural aspect. My expedition to Mt. Damavand last April 13 and 14 was a wonderful experience, specially because who organizes for me was very professional and kind. Since the moment Mr. Soltani waited for me at the airport until the end of the trip he was concern about myself. I climbed to the summit of Mt. 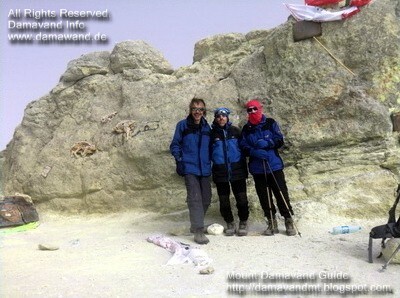 Damavand together with Soltani's guide Mr. Majid Droodgar. We did an excellent team with good communication and will to reach the summit. He has been up there many times, but for me was my very first time, which was great. In enjoyed a very clear summits, admiring the landscape, scenery, the beautiful crater on the top. I have really enjoyed. Thank you so much to Mr. Soltani and Mr. Droodgar for help me to introduce myslef to the wonderful Iranian Mountains such as Mt. Damavand. I recommend very much to anyone who wants to climb successfully Mt. Damavand go with Mr. Ardeshir Soltani, he is the best at Iran. Climbing Damavand can be a bit tricky. It is a high mountain, and not to be underestimated, especially because the height gain is relatively quick. One goes from the low slopes to the 5671 metre high summit in two days, so there is not a great deal of time to acclimatise. So, I found that the best asset I had in climbing Damavand was the considerable experience of Mr Soltani. It is unusual, maybe even unmatched, for one person to have such extensive experience of one seriously high mountain. Mr Soltani's literally hundreds of summits have given him unparalleled insight into Damavand, and he shares that insight with his client climbers. I benefited from his advice and judgement, and that made the experience both pleasant and fulfilling. Damavand is a characterfull mountain, high, beautiful, and full of energy. My ascent was enhanced by a guide with character and energy in generous quantities. This page will be updated regularly and will be sorted by the trip date to Mt. Damavand Iran. Damavand Guestbook and Testimonial. Mt Damavand Trip Report. Iran Holiday Reviews. Iran mountain letter of recommendation. Letter of advice and travel report information. Persian holiday excursion visitor notes. Tehran sightseeing and daily trips. Organized summer tour itinerary for mountain climbing and adventure tour. Persian Tourism Vacations and Travel Guide. Guided tour to Iran tourist attraction sites. Visit Tehran in small group escorted tours. Travel to natural attractions of Persia. Trekking tour Iran summer. Mount tour organizer. Damavand Route. Damawand Peak. 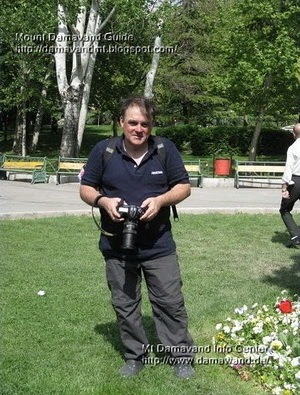 Damavand Guestbook, Tehran Testimonial, Iran Trip Report, Damawand Travel Review, Holiday Reviews. Iran Travel and Holiday Review.